Roberto Clemente broke baseball records and racial barriers. On Sept. 30, 1972, he reached his 3,000th hit, and he had a lifetime .317 batting average. He was an All-Star for twelve seasons, a NL batting champion four seasons, and a Gold Glove winner twelve seasons. He was the first Latino to win the Most Valuable Player (MVP) Award, to start in the World Series, and to win the World Series MVP Award. He was also a loyal man. He played all of his 18 seasons with one team – the Pittsburgh Pirates. 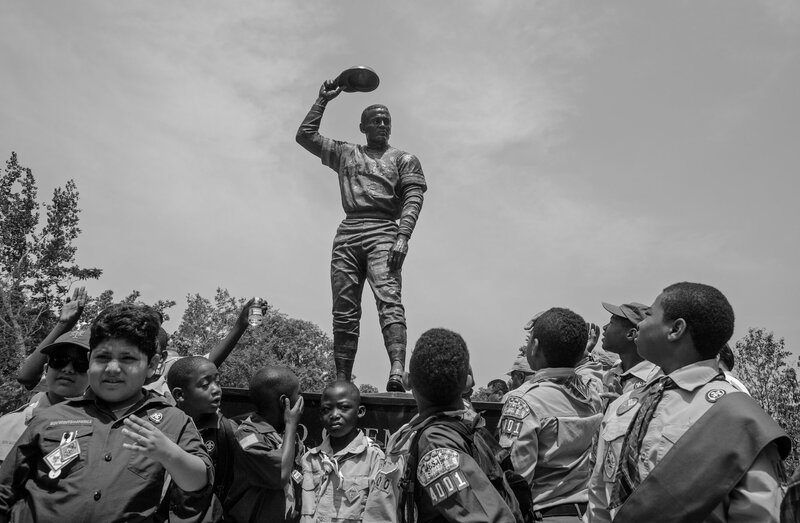 Forty years after his death, the world still remembered him – with a statue in Morris Heights, the Bronx. 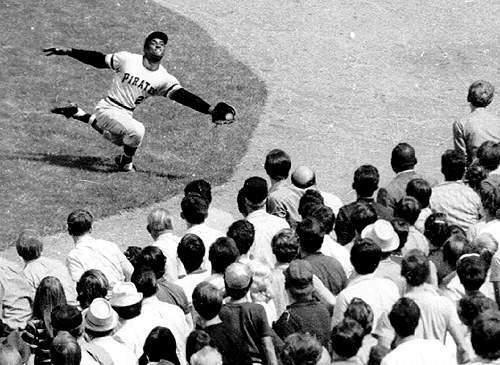 No one will ever forget, the way that Roberto Clemente sacrificed his life. A terrible earthquake hit Nicaragua in December 1972, and Roberto paid for three planeloads of food and medicine out of his own pocket. Unfortunately, he found out that the supplies were stolen and sold for profit, by corrupt officials of the Anastasio Somoza regime. On New Year’s Eve, Roberto filled a fourth plane with supplies and got in the plane himself. The plane was too overloaded by more than 4,000 pounds, and it crashed moments after takeoff from San Juan International Airport. It came down in heavy seas a mile and a half from shore, and Roberto’s body was never found. Yesterday, August 18, was Roberto’s birthday…and he received a deeply deserved present. According to NBC News, Roberto was just declared the 2014-15 fan favorite in a three-way contest held by the Smithsonian Institute. He was voted more popular than two of the sport’s other greats: Babe Ruth and Sandy Koufax. As a result, the Smithsonian announced yesterday, on the day of his birthday, that Roberto’s photo will hang in the Smithsonian National Portrait Gallery. “Any time you have an opportunity to make a difference in this world and you don’t, then you are wasting your time on Earth.” Those were Roberto’s words. He lived and died by them. In a world overrun by greed and selfishness, Roberto Clemente left a memory of service to others. Happy Birthday, Roberto. We will never forget you. About time we get the Smithsonian to honor nuestro Roberto! Roberto was born on August 18, 1934. He would have been 81 years old yesterday! !